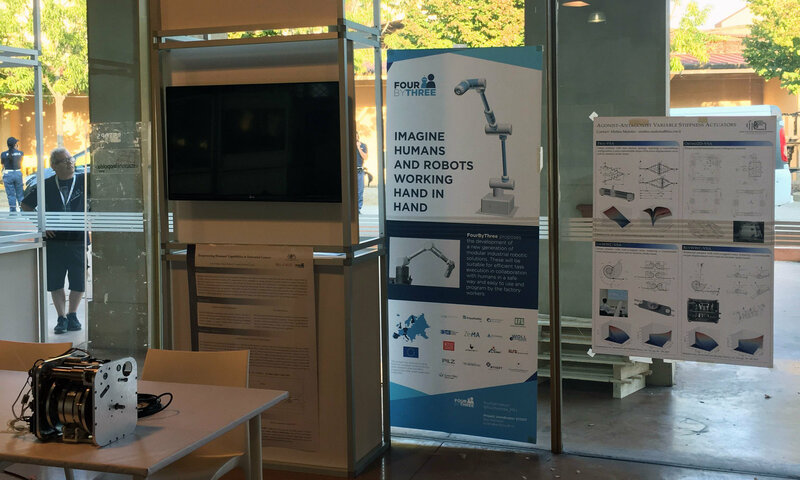 This past month, FourByThree has been present at the Festival Internazionale della Robotica (International Robotics Festival), held in Pisa, Italy, on September 7-13 2017. 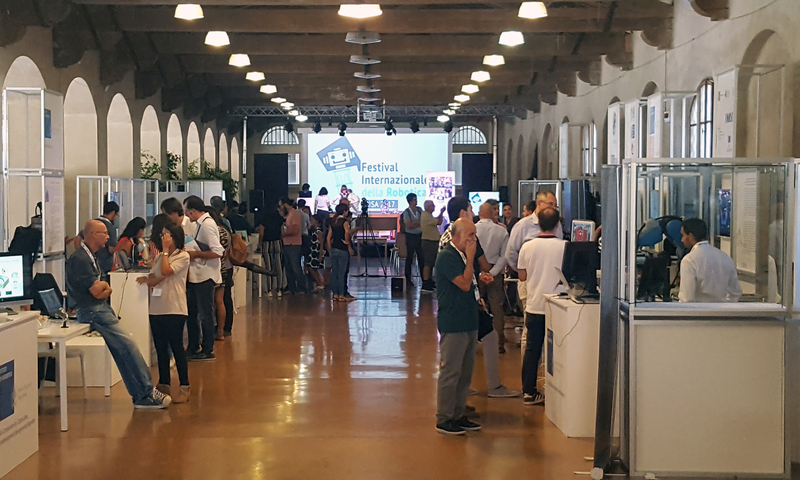 The festival addressed a general public and, besides researchers and representatives of industrial companies, students were its main visitors. The Consiglio Nazionale delle Ricerche was one of the scientific co-promoters, and our partner CNR-ITIA was in charge of disseminating FourByThree. One of the highlights of this first edition was a concert at Pisa’s Verdi Theatre, where a collaborative robot conducted tenor Andrea Bocelli and the Lucca Philarmonic Orchestra in three pieces, including “La Donna e Mobile”. 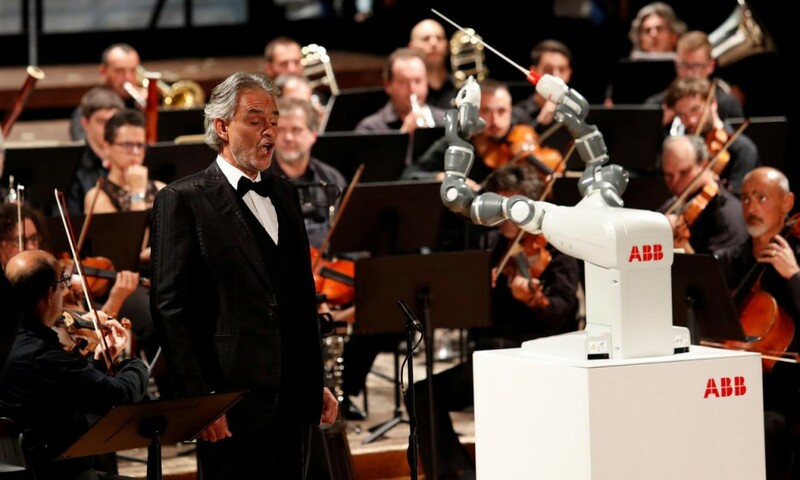 The robot used was ABB’s model YuMi, previously trained by conductor Andrea Colombini in a process that he described as “satisfying, albeit challenging” and consisted first of programming via performance and then fine-tuning to synchronize the robot’s movements with the music. Colombini stated that “the gestual nuances of a conductor have been fully reproduced, at a level that was previously unthinkable to me”. This kind of spectacular performances using collaborative robots (in sports, music, dance…) are very distant from human-robot collaboration in industrial settings, but they may increase public awareness and contribute to developing a positive mindset towards cobots.